Nov. 13 - Dec. 24 | Just $5 OG Burritos and $1 Homemade Horchatas @ All Miguel's Jr. Restaurants - EAT WITH HOP! Get the horchata. It's so good! And cinnamony and ricey! And only a buck! Oh and the Original Burrito is only $5. Where at? All Miguel's Jr. locations! Photo Credit | Miguel's Jr.
Did you know that the burrito and horchata recipes are Founder Mary Vasquez’s original family recipes, inspired by her childhood in Central Mexico. Whaaat! Honestly, I LOVE the horchata here. There are many Mexican restaurants that sell horchata and unless they are serious about their horchata, it usually falls short of expectation. Because most places serve horchata from a soda fountain or their horchata is just aiiight. But... BUT BUT! !...The horchata here boasts to be "homemade" And it sure does taste homemade indeed! I was impressed by how good it was and how "homey" it tastes despite being from a chain restaurant. I honestly recommend the horchata here, and for a buck? You better try it! The burritos for me are pretty good. The meats are juicy actually, but for me, I think when compared to other Mexican spots nearby, the burrito is a bit small sized in comparison. The rice to meat portion is also heavily rice...in my experience. However, the ingredients are solid. You can check out my full review here from one of my experiences! Miguel's Jr. is offering the Original Burrito for just $5 and homemade horchata for just $1. 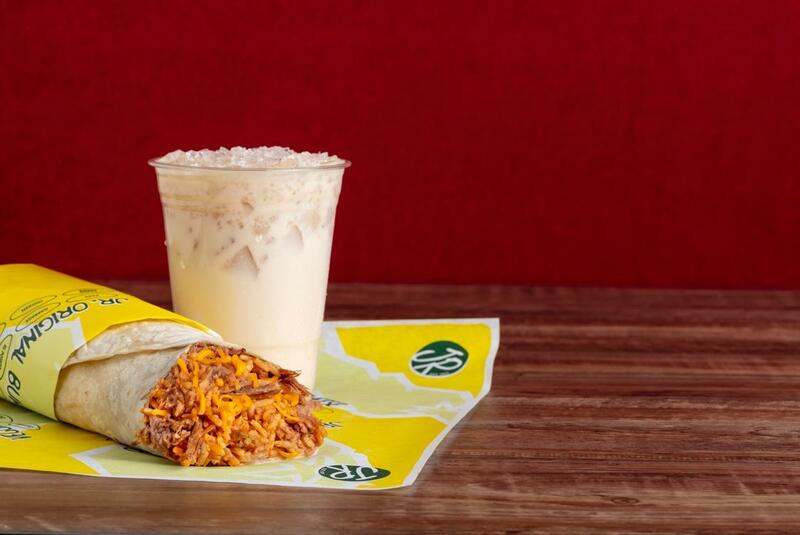 Miguel’s Jr.’s Original Burrito (Since 1975) is made with refried beans, Spanish rice, real cheddar cheese and your choice of shredded chicken, shredded beef or marinated chile verde pork. Carne Asada Original Burritos will also be available for $6. The homemade horchata is made with 100% all-natural pure cane sugar.